In June last year, we reported on an interesting new service called Skin Scan, an iOS app designed with a single purpose in mind – keeping track of the size and shape of your moles. You simply snap a picture, load it into the app and it will be analysed. Keep uploading more pictures of the same mole over time, and it promised to track the changes in size and shape to help you understand if there’s anything to be worried about. Now, however, Skin Scan is no more…it’s rebranded as SkinVision, given its service a makeover, relaunched its iOS app and launched an Android app into the mix too. The idea behind SkinVision is more or less the same as its previous incarnation – it’s designed to detect early skin conditions through monitoring moles on your body and track your UV exposure on a daily basis. Designed in partnership with a team of dermatologists, the team behind the app hope to revolutionise the way we think about tracking skin health. Given this isn’t really my area of expertise, I shan’t question any part of that statement. But this does lead to an important point, as both the Android and iOS versions cost $4.99, or the local equivalent. So, while they’re not free, they’re not exactly going to cost you the Earth. The cynic in me is whispering that there may be a bit of a fear factor here, which these apps could capitalize on. However, it seems a lot of work has gone into SkinVision, and the team behind it has worked pretty intensively with medical professionals towards creating this app, so it is worth a look. It seems there is a database containing more than 100,000 moles, with 4,000 of these reviewed and peer-reviewed by dermatologists. The algorithm in the SkinVision app was developed by a team of dermatologists, mathematicians and computer scientists. 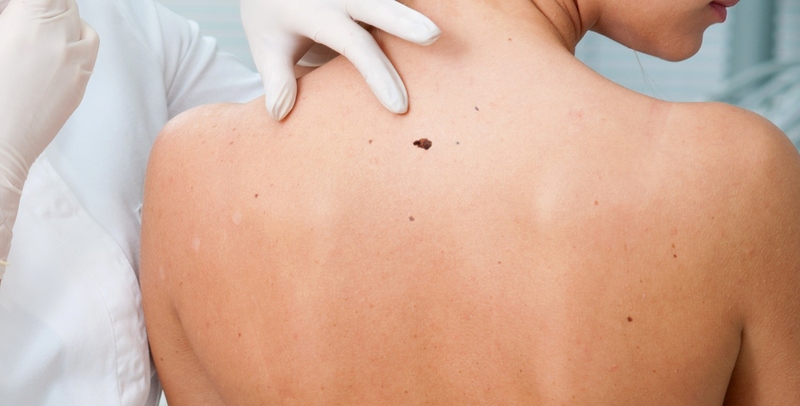 So, the 4,000 moles serve to cross-reference the accuracy of SkinVision’s algorithm and is part of its “ongoing algorithm improvements.” The company also provides tools to promote awareness and education around this topic, and they do encourage people to see a dermatologist. SkinVision is being sold as “part of your regular health checks”, so the onus is on the usernot to take the word of this app as gospel. Through the app, an image of a mole is uploaded to its servers and analyzed in real-time. You snap a photo of the spot using the ‘Analysis’ button, and the app will give you an indication of the severity of the situation. They key here is the archive feature, which stores and records a spot and tracks it over time. It tells you when you should analyze the mole again, and you can set a reminder to do so. Indeed, the app does helpfully guide you towards your nearest doctor, should you wish to seek professional advice. In terms of compatibility, your camera is obviously key to this working correctly. The current iOS app has been developed for iPhone 4 and iPhone 4s. It does work on other iOS devices, but the analysis algorithm has not yet been optimized for the camera specifications other than these two models. The Android version is available for all Samsung Galaxy models, HTC One X and HTC Desire, and is being optimised for other models too. Following a funding round which saw PHS Capital join the initial investors, SkinVision changed its company name and moved its offices to Amsterdam. Roel Van Summeren, previously involved in various startups in the consumer health space through Philips Corporate Venturing, joined as CEO and together with Mircea Popa runs SkinVision. With more than 35,000 users who signed up for the app from its predecessor, SkinScan, Van Summeren tells us it was time to upgrade to a more scalable back-end and create a more engaging user experience.